78% of businesses believe digital start-ups will pose a threat to their organization, either now or in the future, according to new research from Dell Technologies announced. Almost half (45%) of global businesses surveyed fear they may become obsolete in the next three to five years due to competition from digital-born start-ups. Only a small minority of surveyed companies have almost completed their digital transformation. While parts of many businesses are thinking and acting digitally, the vast majority (73%) admits digital transformation could be more widespread throughout their organization. Some companies are feeling badly bruised by the pace of change. More than half (52%) of business leaders have experienced a significant disruption in their industries over the past three years as a result of digital technologies and the Internet of Everything, and 48% of global businesses don’t know what their industry will look like in three years’ time. The above findings result from an independent survey by Vanson Bourne of 4,000 business leaders – from mid-size to large enterprises – across 16 countries and 12 industries, 300 from India. 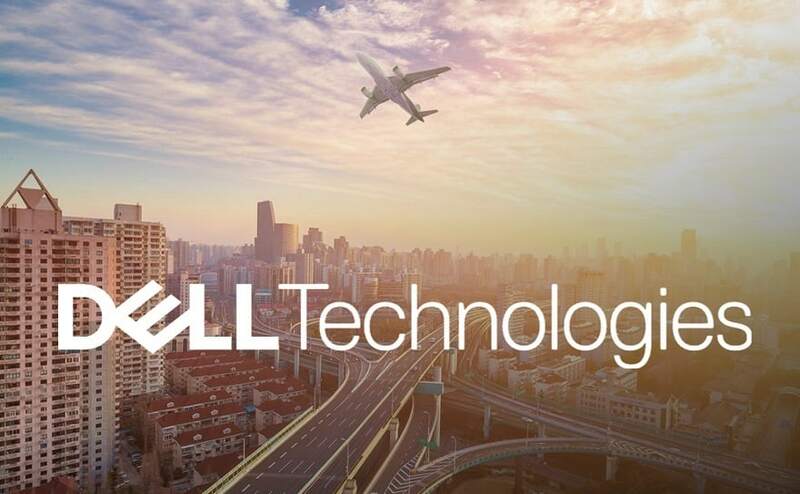 In India, Dell Technologies conducted a complementary survey to understand what 150 digitally mature organizations are doing differently, in partnership with Greyhound Research. Over 90% of enterprises have experienced disruption, and 26% don’t know what their industry will look like in three years. Over half of the enterprises in India, who are digital leaders, are being driven to transform by customer demands, while 42% are feeling the pressure from their own C-Suite. 9 in 10 have witnessed the entrance of new competitors as a result of digital technologies. Obstacles on the digital transformation journey include immature digital culture for 33%, lack of budget and resources for 30%, and lack of right technologies to work at the speed of business for 32%. Nearly half (43%) don’t measure their digital transformation success. 62% are planning to invest over 30% of the 2016 IT budget in transformation projects. Investment areas include converged infrastructure (80%), analytics, big data and data processing (78%), ultra-high-performance computer technologies (82%) and next generation mobile apps (76%) in the next 12 months. About 93% are investing in company-wide data-driven decision-making, and 88% are focused on equipping themselves with always-connected, sensor-enabled and location-aware technologies. 87% face an ongoing need to invest in reskilling their internal IT teams to support transformation, yet half of them rated available training resources internally as fair to average. Less than 10% rated the internal skills for digital transformation as excellent. “With a vibrant startup ecosystem, keen government focus on digitally transforming India, and a tech-enabled consumer base, it’s not surprising that Indian enterprises have sensed the urgency to transform digitally. While transformation is not pervasive, it is critical for organizations to follow the leaders and adopt practices that can enable them to ride the wave of the fourth Industrial Revolution,” said Rajesh Janey, President & Managing Director, India Enterprise, Dell EMC. With a proactive government, digitally inspired business leaders and an advanced partner ecosystem, India has the required potential to lead the world’s digital transformation journey,” said Alok Ohrie, President & Managing Director, India Commercial, Dell EMC. Over and beyond reassessing business models and competitive landscape, CXOs are now required to include Digital Transformation as a frontrunner in their growth agenda. Winning in this era will not only require agility; it will require organizations to be bold and explore new ways of doing business that have traditionally been out of their purview. Having said that, while investments in Digital Transformation are already underway – the study confirms that 63% large organizations in India are investing in IT infrastructure & digital skills to compete with start-ups – envisioning and measuring outcomes is a critical success factor to ensure continued relevance to global markets”, said Sanchit Vir Gogia, Chief Analyst and CEO, Greyhound Research.